Personal care is one of the booming industries in the present times. We as people have become more conscious of how we look than ever before. We want the perfect haircut, buffed nails, glowing skin and the fittest bodies possible. This has given rise to not only hair stylist, nail experts, and makeup artist training but cosmetology as a whole. At present, the prospect of an aesthetician as a successful person is very high because the demand is through the roof. To be a cosmetologist, you need to be a licensed professional. There are a number of cosmetology courses available now. One has the option to choose from a specialised training class or to pick a generic one. For aspirants, an important point to be remembered is even if you choose a high niche area to be an aesthetician ensure that the course teaches you the very basics too. It is important that course or class covers some necessities like hair care and skin care. In-depth techniques for body massage or manicure pedicure have their place, but simple things like hair cutting or styling will always be needed. Because this field means you will always be in contact with people and interacting with them a course that also teaches the fundamentals of customer service will always be the better option. Not each of us have the inherent quality to be charming while talking to clients or customers. Most of us have to be taught it. As a cosmetologist, it becomes vital that you have a pleasing personality. If this sounds your cup of tea and you don’t have the time or money for a regular course there are a number of online cosmetology classes available now. Before starting just ensure that the course is certified by proper authorities and accredited. Also, more practical the course the better it is as you will be able to use it in the real world to get gainful employment. An authentic course will take your payment to a higher level. The pay may vary as per your qualification and the experience you have. But it will always be more than a non certified aesthetician. 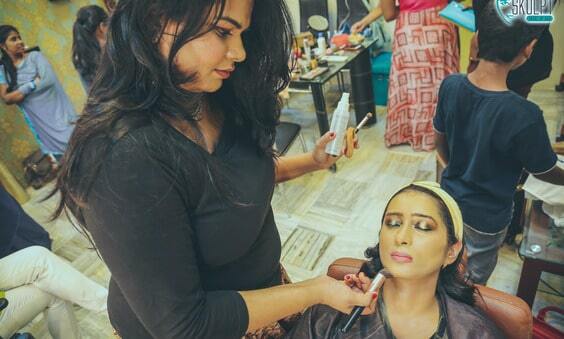 A degree in cosmetology will not only teach you modern trends and skill it will also change your perspective of the world. You will begin to see beauty in abstract things and how to make something even more stunning. That is the beauty of being an aesthetician!